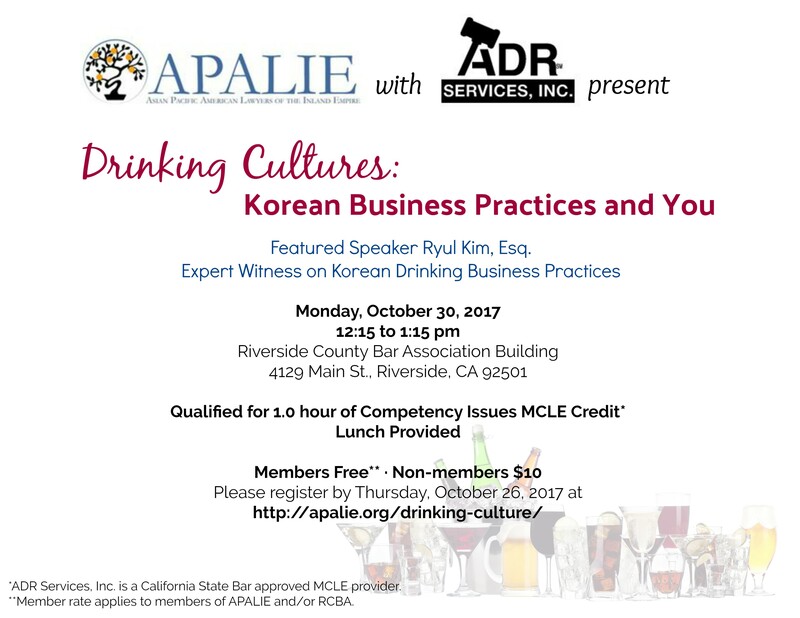 Come join APALIE and ADR Services, Inc. for a special presentation Asian-American business practices on drinking. When left unchecked, drinking in Korean Business Practices can lead to loss of money, health, profession, and life for both clients and lawyers. We have the pleasure of having speaker Ryul Kim, Esq., an expert witness on Korean business practice on drinking.